It was probably a combination of an excellent lunch, a bottle of wine and jetlag that caused us to drift off to sleep in the afternoon. When we awoke in the early evening, we found a message from Mario and arranged to catch up for a drink at Bistrot dei Sognatori. 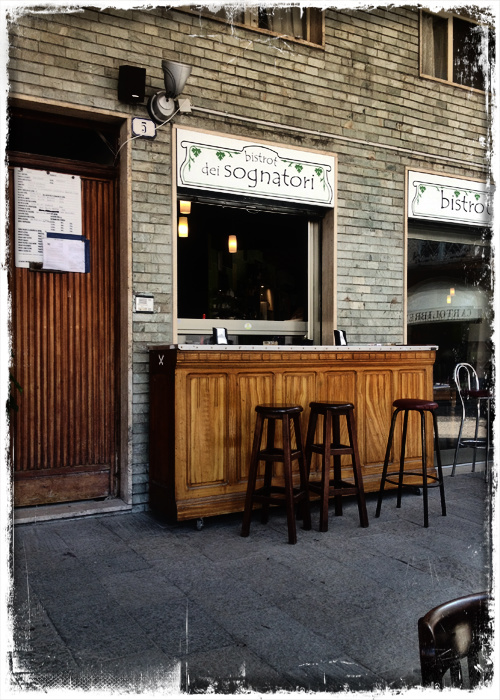 This is a sister venue of Osteria dei Sognatori - it's primarily a wine bar with limited food - the food is ferried across the road from the Osteria's kitchen. 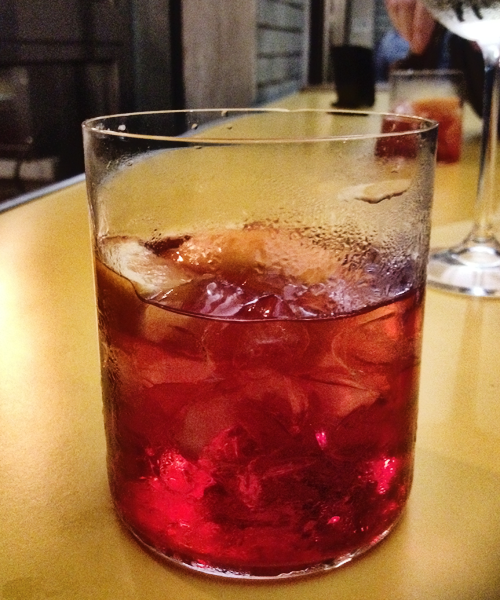 It's a warm evening, we're in Italy so why not indulge in that classic cocktail, Negroni. 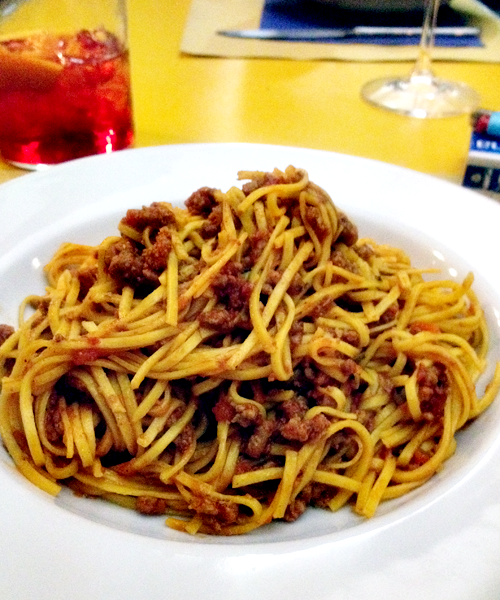 This really is the type of ragu my mother makes - you can tell it's been cooking for a long time, there's the right amount of seasoning and the pasta is cooked correctly. It's dishes like this that make you acutely aware of just how substandard Italian food is in Australia - it really should be called fauxtalian. Now I could have a good rant here but I won't, another negroni will suffice.